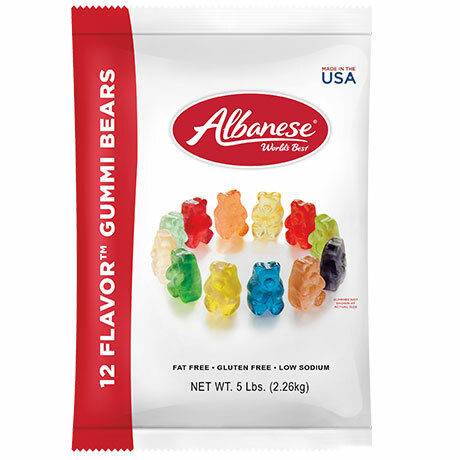 Our Assorted Fruit Gummi Bears feature your favorite Gummi Bears in some fan favorite flavors including: Cherry, Pink Grapefruit, Watermelon, Strawberry, Orange, Blue Raspberry, Lime, Grape, Green Apple, Mango, Pineapple, and Lemon. 5 lb. bag.